Hello, and welcome aboard the website for “Reel Adventures Fishing Charters Service”. 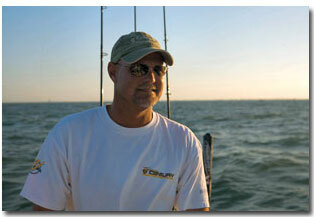 I am Captain Jeff Hagaman, and I operate my charter fishing business on the central Gulf Coast of Florida. I have been a full time fishing guide for over 18 years, but I have spent my whole life fishing these Florida waters and I know them intimately. I fish the flats, back country, and near shore waters of Tampa Bay, Clearwater, St. Petersburg, Tarpon Springs, Boca Grande and Charlotte Harbor. Thank you for visiting my website. I hope you like what we have put together and welcome your comments. 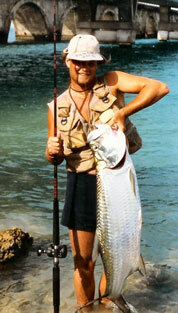 I look forward to having the opportunity of fishing with you on a tarpon, flats or back country charter. 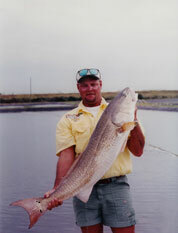 We have awesome fishing on the Florida Gulf coast, and it is something that anglers of all skill levels can enjoy. 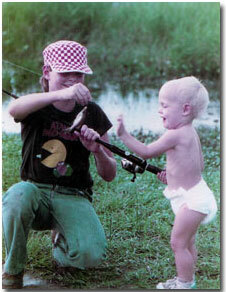 I love fishing with families and especially enjoy introducing children to fishing. The following paragraphs are a short bio put together by one of my favorite fishing partners, my Dad. 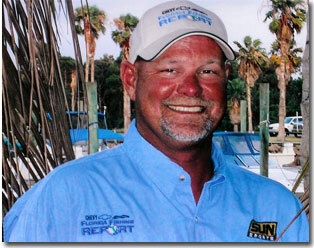 As a Florida Gulf Coast light tackle charter fishing guide Captain Jeff Hagaman is at the top of his game. Capt Jeff's enthusiasm for fishing is contagious. It is a joy to be with someone who has discovered and is living their niche in life. 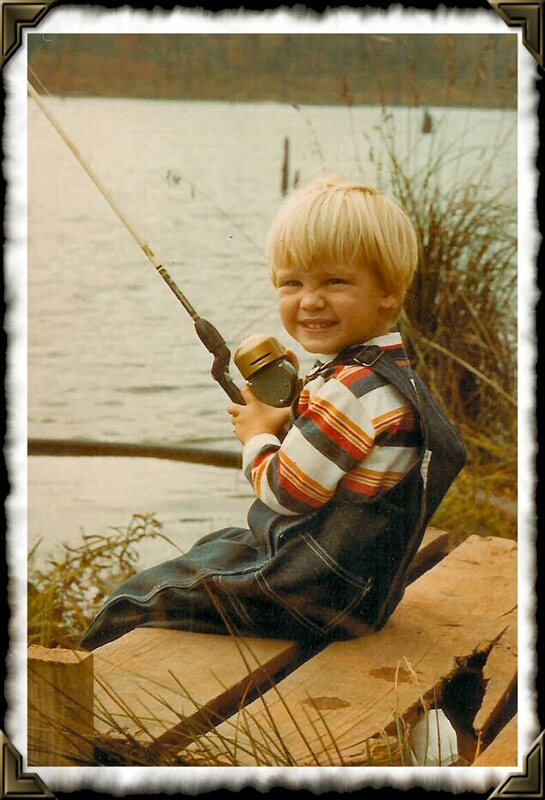 Capt Jeff's fascination with fishing started about as soon as he could walk and has continued to grow and deepen over the years. He has a vast amount of fishing experience. 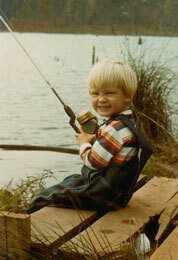 Jeff started fishing the waters of Tampa Bay, Clearwater, and Florida's Gulf Coast at the age of eight. Before he was out of elementary school he had already caught a great variety of saltwater game fish. As a teenager he appeared in an article in Florida Sportsman Magazine. His love of fishing led him to his first job, where else but in a tackle shop. After graduation Jeff worked as a mate on a charter boat. This job represented a transition for Jeff from catching fish himself to helping others catch fish and he took great pleasure in their fishing success. In 1997 Jeff got his captain's license and started his career as a fishing guide with his charter service business, “Reel Adventures Fishing Charter Service". 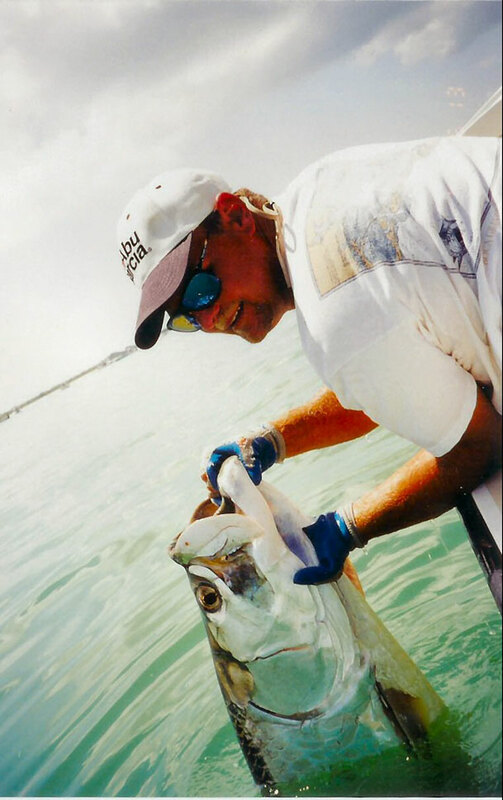 He shares his passion for tarpon fishing, especially tarpon fishing at Boca Grande, and light tackle flats and back country fishing with his customers on the West Coast of Florida. As a member of the Coastal Conservation Association, Jeff's fund raising efforts have gone a long way to preserve, protect, and restore Florida's marine resources. When the State opened it's Florida redfish hatchery on the south shores of Tampa Bay, Captain Jeff located the large sexually mature fish which would become the hatchery's brood stock. Captain Jeff is a full time Coast Guard Licensed and Insured Charter Fishing Guide and is a member of the International Game Fish Association. In addition to building a large base of satisfied customers, Captain Jeff has an impressive resume of recognition and media appearances to his credit. From national and regional TV and magazines, to newspaper and sporting goods shows his exposures are impressive. He appears on the Fox Sports TV network's Emmy Winning “Chevy Florida Fishing Report” four times a week as the regional expert with fishing reports for his area of the state. He has appeared on ESPN’s North American Outdoors more than a dozen times. Capt Jeff co-stars on The Outdoor Channel's, “Tarpon of Boca” TV show which is now in its 2nd season. He is often sought for input for magazine articles and has appeared in articles and sponsor advertising in many magazines including Florida Sportsman, Saltwater Sportsman, Sports Fishing, North American Fisherman, Shallow Water Angler, and Tide. He works many sport fishing and boat shows for his sponsors each year. In the course of his charter business, Captain Jeff has guided his clients and tournament team to consistent top tournament finishes. Captain Jeff is a tournament winning angler with many tournament wins to his credit including first place finishes in the prestigious “Millers Catch the King Tarpon Tournament”, The World Championship Tarpon Series, The Professional Tarpon Tournament Series, FLW Redfish Tournament, the Chuck Lamar Grand Slam Celebrity Fishing Tournament, the Outback Steakhouse Tournament, and the St. Jude’s’ Hospital Tournament. Captain Jeff has won Yamaha Team of the Year honors and qualified to fish the first Rolex/IGFA Invitational Tournament of Champions in Kona, Hawaii. Captain Jeff has been recognized and is sponsored by the leading companies in the fishing industry. He is very highly regarded by his sponsors, so much so that many have used Captain Jeff in their national advertising and catalogs.When you step on Capt. Jeff's boat you can be certain you will be fishing with the best quality equipment. He is sponsored by Sheaffer Boats, Yamaha Motors, Raymarine Electronics Odessey Batteries, Powerpole Positioning Systems, Daiwa fishing Tackle, Mustad Hooks, Bass Assassin Lures, Deep Blue Marine Products, and Maui Jim Sunglasses. (see Captain Jeff's Gear).